The Peloponnesian War enveloped the entire Greek world, from Syracuse on the island of Sicily to the shores of western Turkey. It ravaged the Greek population and produced great hardships, and it led to the eventual downfall of the Athenian Empire and the rise of the Spartan Empire. While it’s true that war should be avoided at all costs, it’s also true that it’s a great teacher. It shows people who they are, and it forces them to rise up in the face of great adversity. And while the Athenians did eventually fall to the Spartans, neither side won or lost. The only losers were those who lived during this tragic conflict that was defined by famine and plague, and the only winners were those who came afterward and who were able to enjoy the tremendous advancements in human culture that came from one of the most prolific conflicts of all time. This is the best volume of the Peloponnesian war. The author is the best author on the history subject, also a great story teller. Some things never change, listen to it. The author positively disclosures the political intrigues and human weaknesses of the war members and that's why the modern reader will feel right at home: you'll distinguish a lot of the actions in our present day politicians. What a book to follow. A detailed, inclusive history that someway achieves to latex the enthusiasm and vivacity out of the battle. The author surely knows his stuff and gets the truths and timetable allied yet the story never lifts, as if it's dyed from a palette of subdued colors. Hence, it buzzes on and on, what a book. A light on deep history. Indeed it was a disastrous incident, a countless turning point in history, the end of an epoch of development, affluence, sureness and optimism, and the beginning of a darker time. What an exceptional audible for USA people. This audible is written for the common people. The typical ritual has never been more nearby to people of USA here in this book. Amazing audible-book and it met all of my potentials. Thanks! Most prominently, this is an American audible and it is not destined to be staid or highbrow. Five stars from Connie Alejo. 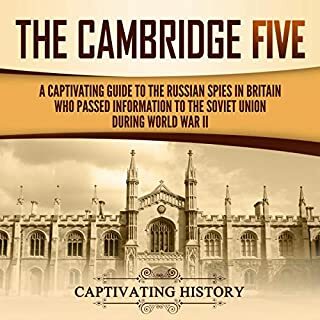 One more outstanding audio-book by Captivating History. I highly recommend it to every person who love history books. Five stars for this great audible. Easy to understand of those not well-informed about the topic, great book with fabulous details. This audiobook is awesome and I got it free. I am new to ACX but just love to listen to the books. This audible is very detailed about the Peloponnesian war. Good flow to the history. You will understand here, how nations and their leaders follow their aims, make their choices, and observe the world around them is what styles listening to history interesting. There are the reasons behind this writing. This audible is clearly written and with interesting style. Captivating History work made this listen a pleasure. Better to belief an existing who has consumed his life purifying Greek history than to attempt to get a clear picture from an author whose account ends before the war itself ends. In my opinion, the author makes the outmoded mistake of assuming the things, it should not happen. I feel this delinquent ubiquitously in Greek scholarship. Still the work is quite good and deserves the applause. 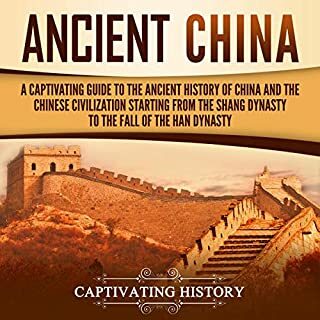 It's really amazing what you can currently learn by listening ancient history audiobooks. 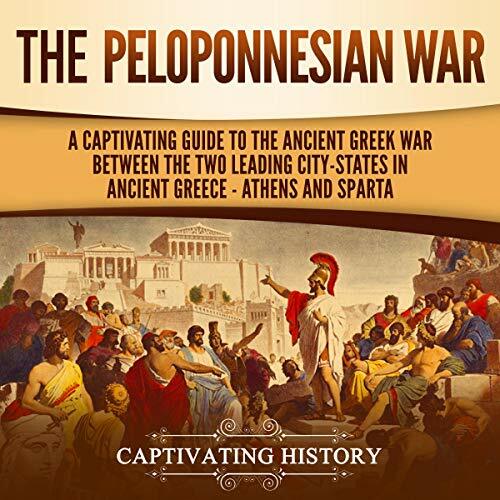 This is a very interesting audio about the Peloponnesian war. I think it's one of the best about the subjects. Another blaster from Captivating History. 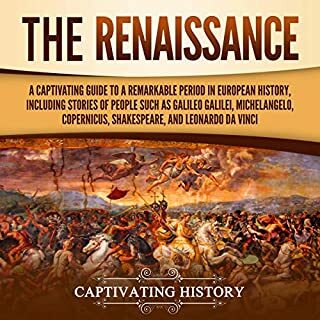 I am a history lover and this audible is certainly decent chum when I am listening to the archetypes, and it is occasionally problematic to understand what is going on. I just love, Captivating History’s writing because it is articulate and appealing. I wasn’t able to put this audiobook down, and I don’t consider myself a history buff! Still listening to this audible. Indeed brilliant, across the board. 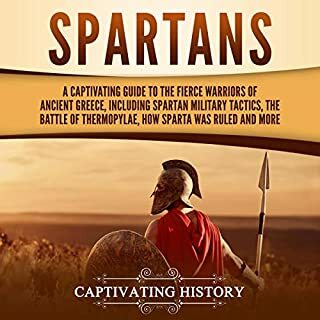 Concealments just about every feature of this colossal brawl amid Athens and Sparta and provides it past context that is related to today’s world. This is a typical audiobook on the Peloponnesian War. 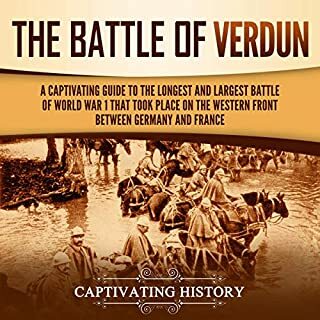 Easy listening for such detailed history, possibly the best dwelling to start if you need to know serious study of the war or if you just want an summary. 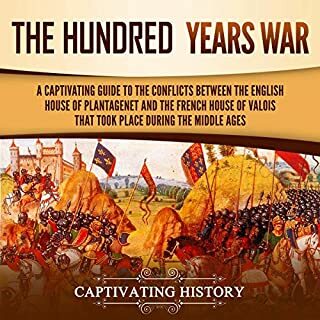 For the beginner, such as me, I would have prized more material on the political parties and military competences, I have listen about half the book, not being adequately absorbed in the details of the war for themselves, but at no time was it cloudy, and I would recommend it even for listeners who are not that interested in this kind of history. An amazing audiobook, yet we know so much not only about what happened, but the political background. The author wonders on the definite thinking of the key actors, and his influences are well reasoned. A top book.